Excel is part of our everyday lives. It doesn’t matter if you’re a finance, marketing or operations professional. But Excel is not what it used to be 10, 5 or even 3 years ago. Our engineering team has been very busy bringing amazing updates to Excel that give you advanced analytics and visualization capabilities that will allow you to move away from static presentations and dashboards, fostering proactive conversations and unlocking insights for your data. 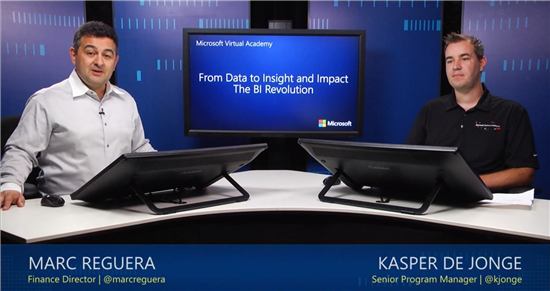 Marc Reguera, Finance Director here at Microsoft created this short course together with the engineers behind these features to teach you how easy it is to get data, shape it for your needs and maximize your impact without leaving Excel. All of this while harnessing the power of the cloud with Power BI to take your analysis to the next level.